Just as its name suggests, the kidney bean is shaped like a kidney. 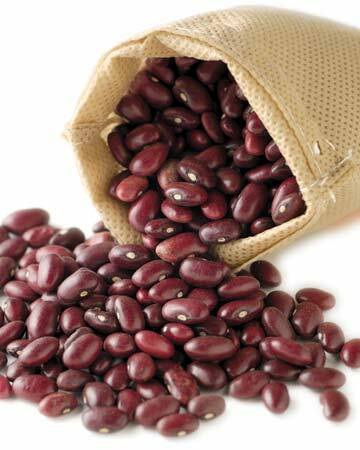 A dried kidney shape bean that is reddish brown in colour, strong flavoured and has a slight mealy (powdery) texture. The beans have a strong musky and nutty aroma and a full, chewy taste. The skin is thick and has a slightly sweet aftertaste. This deep red, kidney-shaped bean is used a lot in Mexican cooking and in India is flavoured in some Punjabi dishes where the beans are known as rajma.